Despite being a Connecticut resident all my life, I had no idea there was so much to do in Hartford. I’ve lived mostly in the southwestern end aside from some brief stints in Hamden, and the Nutmeg State’s capitol city has been off my radar since the Webster Underground shows of yore. 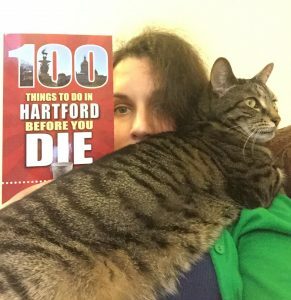 But Chip McCabe’s new guide 100 Things to Do in Hartford Before You Die is just the thing for early-thirties cat ladies like myself who want something to do on the weekends other than drink while a band is playing. McCabe has perhaps dealt with this plight himself; a fixture in the local music scene, he is also a married father of four. His guide to food, music, arts, sports, and shopping has something for every taste and budget, including that of aging and mellowed-out metalheads who blend in for forty hours a week. Personally, this book has put a visit to the Wadsworth Atheneum (p. 92) at the top of my to-do list. “The oldest continually operating public art museum in the country” is home to works by Renoir, Picasso, O’Keefe, Gauguin, and more — just a short ride up the interstate! With 39 items in the Food and Drink section, I’ll have plenty of ideas for a memorable meal afterwards. Abyssinian Ethiopian Restaurant (p. 41) sounds intriguing, or maybe Vaughan’s Public House (p. 12) if I’m in the mood for more familiar cuisine. Pick up 100 Things to Do in Hartford Before You Die on Amazon, Reedy Press, or at your local bookshop — and don’t forget to tell Alternative Control about your ensuing adventures! Review copy courtesy of Reedy Press. All opinions are our own. 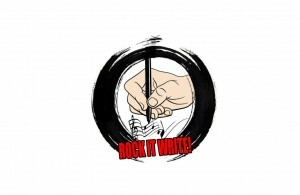 For more from Chip McCabe, follow @themetaldadblog. And for more from Alternative Control, find us on Facebook, Twitter, Instagram, Soundcloud, and bandcamp.